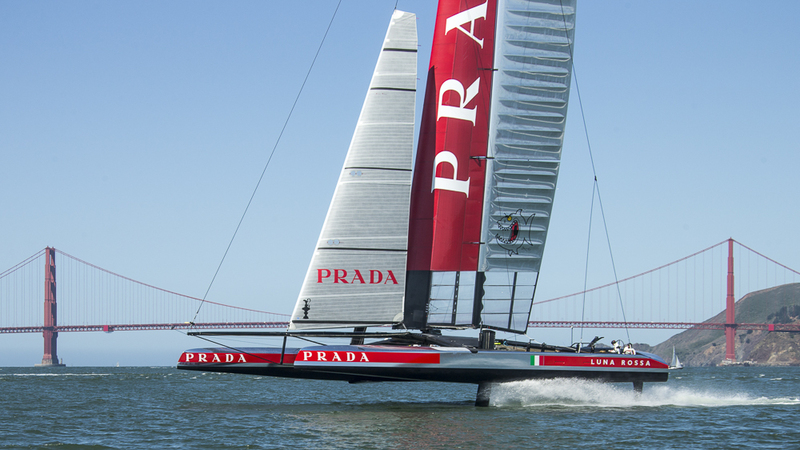 Luna Rossa quickly and effectively demonstrated the toothlessness of the AC Safety Review Panel on Saturday, flipping Iain Murray the bird by launching and sailing their AC72 for the first time on SF Bay despite a clear request from the panel for all teams to suspend sailing until the 22nd. You can tell ACRM are pissed; they won’t even report on Luna Rossa’s first sail themselves…meanwhile, Dalton and Bertelli continue to try to head off any potential rule changes that might disadvantage their designs…the politics are getting nastier as the AC draws closer…discuss it all in the Luna Rossa thread. Carlo Borlenghi photo.